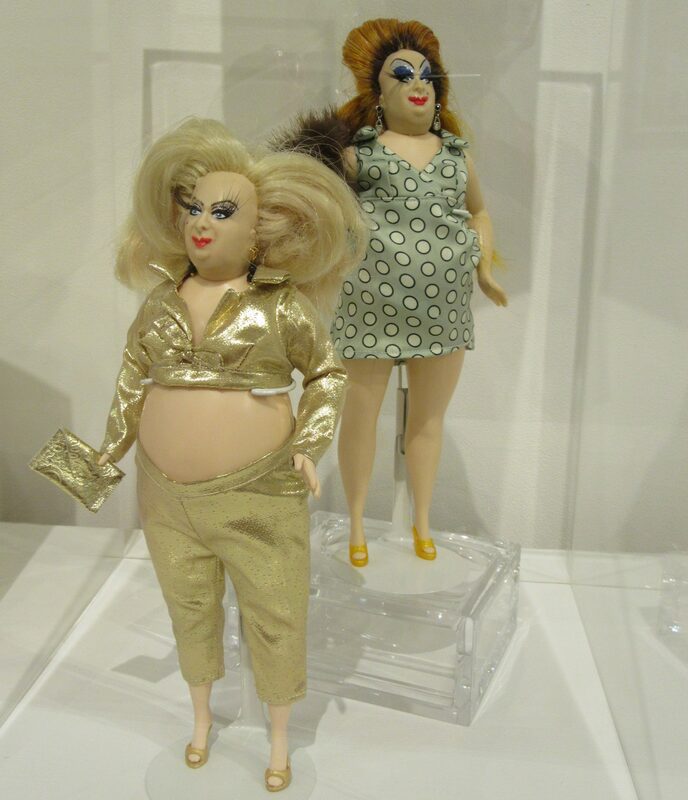 The Goldberg Company (those responsible for the original 1978 Dolly Parton doll) fashioned an impressive set of four Divine character dolls in 1984. While the full line was on shelves in time for Christmas, most never made it under the tree. Most units were left unsold, even after being discounted as much as 90%. 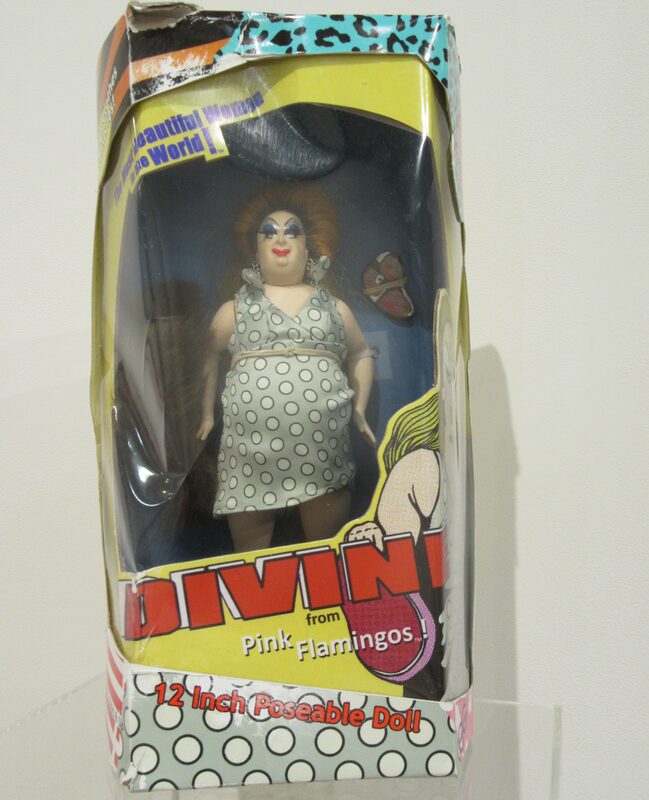 Goldberg was banking on Divine’s disco career creating the necessary interest to sustain the line, but it was an appeal that did not translate in the toy department. It appeared that American girls under 12 were not ready for this kind of Barbie, which is unfortunate given Goldberg’s future plans to add six more figures to the line. 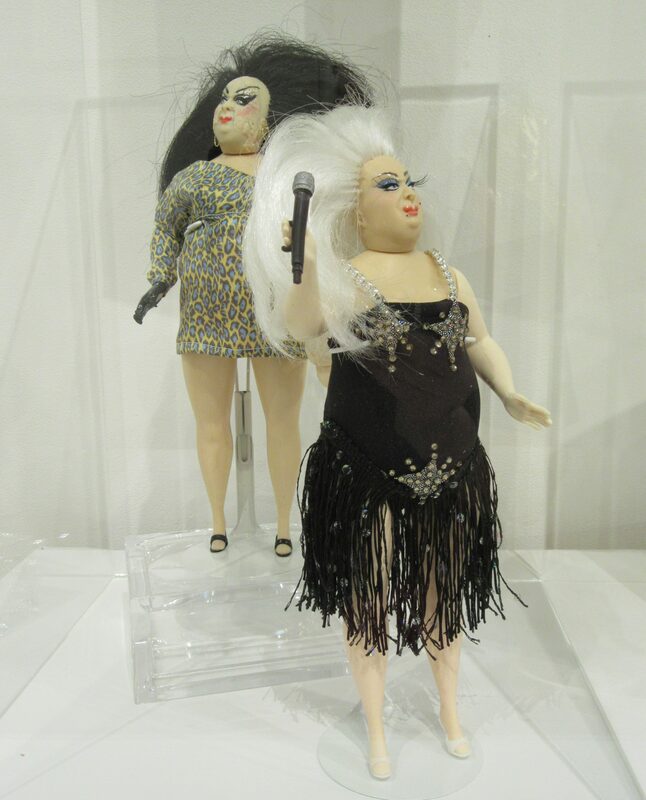 Upcoming fictionalized Divine characters included Astronaut Divine, Party Girl Divine, Divine as Shirley Temple, President Divine, Waitress Divine (Dawn Davenport) and Surf’s Up Divine. Photographed as Part of the Lost Merchandise of the Dreamlanders Exhibit at La MaMa Galleria in NYC.